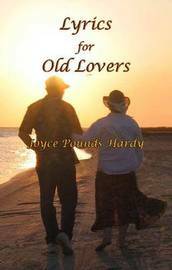 "Lyrics for Old Lovers" conjures up couples walking down a beach holding hands, smiling contentedly into the setting sun, but old love is not like one of those three-mast sailing ships in a bottle with no waves and no wind. Old love tests the heart. These poems are about living a lifetime together, happy, funny, familiar years of growing old with the one you love, but they are also about tough years of caregiving and heartache, of loss and survival, of regrets and loneliness. The poet has lived these poems, finally discovering a need in herself to accept life again and move on. Yes, life again, in the form of another love: and because love comes in all ages, she finds that old love 'without the urgencies of youth' can be soft and sweet and easy on the heart. JOYCE POUNDS HARDY, a native Houstonian and a graduate of Rice University, was winner of the Texas Writers Recognition Award, a grant of $2000 given by the Texas Commission On Arts, for publication of her first book: The Reluctant Hunter (Latitudes Press, 1989). Her second book, French Windows, written with four of her Paris friends, was published in 1995 by Eakin Press. She has won the Holland Award for Non-Fiction from Rice University, as well as the Golden Pen Award for poetry from the University of Houston. Her latest book, Roads to Forgotten Texas, a collaboration with photographer Tommy LaVergne (poems by Hardy), was published by Texas Review Press in 2007.